Microsoft shipped Windows 1.0 - 26 years back today! Windows 1.0, a 16-bit graphical OS, was announced in 1983, but it took a while to develop it. 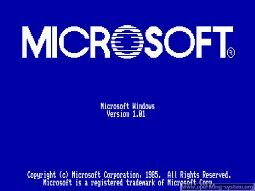 Finally on November 20, 1985, two years after the initial announcement, Microsoft shipped Windows 1.0. The first version of the Windows operating system to be shipped, had the code-name Interface Manager – and it was ultimately this name that was considered as the final name. But the name Windows prevailed because it best described the computing “windows” which were fundamental to this new operating system from Microsoft. Microsoft supplied Windows 1.0 on 5 floppy disks! It is unique software designed for the serious PC user. The new operating system included drop-down menus, scroll bars, icons, and dialog boxes that made programs easier to learn and use. Rather than typing MS?DOS commands, you now just needed to move a mouse to point and click your way through screens, or “windows”, and switch among several programs without having to quit and restart each one. Skeptics call it “vaporware” – but they were proved wrong! Windows 1.0 shiped with several programs, including MS-DOS file management, Paint, Windows Writer, Notepad, Calculator, and a calendar, card file, and clock to help manage day-to-day activities. 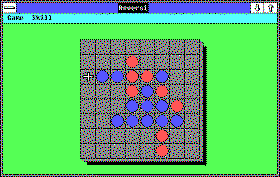 Games like Reversi, Balance of Power and a Puzzle were also included. Windows 1.0 required a minimum of 256 kilobytes (KB), two double-sided floppy disk drives, and a graphics adapter card. A hard disk and 512 KB memory is recommended for running multiple programs or when using DOS 3.0 or higher. For old time’s sake … have a look at the Windows 1.0 Press Kit. Watch Windows 1.0 in action here. Visit Microsoft to read more about the history of Windows. Incidentally, the first version of Internet Explorer was released in the summer of 1995. Also there’s a video available of an Ad in which Steve B is demoing Windows 1.0 features.